I’m a natural blond — at least when it comes to my lashes. That means mascara plays a crucial role in my makeup routine. Without it, I look like I’m missing eyelashes! On days I go totally bare, I notice people do a double take, or worse, ask me if I’m tired. Considering all this, finding a natural and nontoxic mascara topped my list of safe makeup priorities. 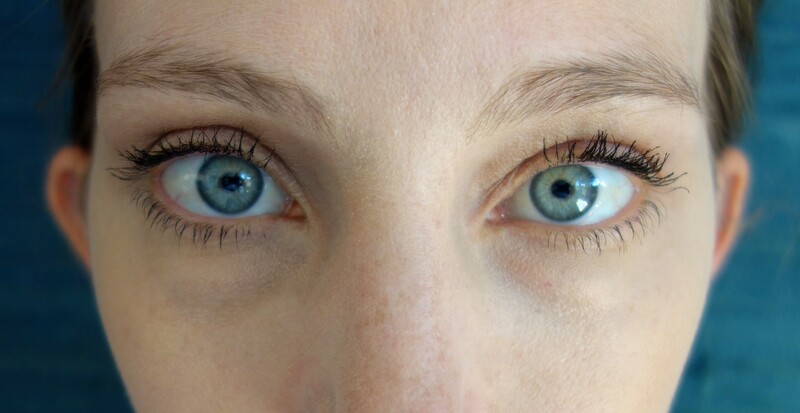 So I tested out W3LL PEOPLE Expressionist Mascara in Pro Black. I’m happy with the results, especially its lengthening ability. Here’s my full W3LL PEOPLE Expressionist Mascara review. W3LL PEOPLE’s Expressionist Mascara is EWG Verified, which means the brand provided total transparency to the Environmental Working Group in order to get its seal of approval. 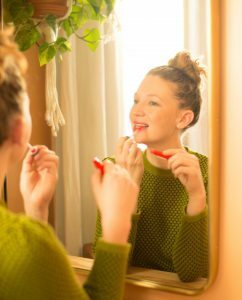 The mascara includes natural ingredients, like beeswax, and W3LL PEOPLE says it will help define and lengthen my lashes. Cool! Those are two things I’m looking for, since you can barely see my naturally-blond lashes when I go without mascara. On the left of the picture I have W3LL PEOPLE Expressionist Mascara. To the right, I have nothing. W3LL PEOPLE’s Mascara lengthens lashes without any toxic ingredients. The tube is sleek, and the relatively-thin wand comes out with the right amount of product. I’m into it. The wand, which W3LL PEOPLE recently updated, makes it easy to reach all my lashes. When applying, I notice that it glides on easily, instantly lengthening my lashes. It dries pretty quickly, so you shouldn’t wait too long between layers. I like the delicate look my lashes get with this mascara. I put on three coats, and while I didn’t notice much thickening happening, it does make my lashes look much longer. It doesn’t clump together, instead separating and defining my lashes. I think this mascara lengthens my relatively-short lashes better than almost any mascara I’ve tried. And it doesn’t clump together, instead separating and defining my lashes. I tested it out on a hot, sweaty day, and it stayed in place. I didn’t notice any black flaking under my eyes. I will give this warning: the mascara is not waterproof. After a few hours of wearing it, I had a laughing fit that made my eyes water. When I got up to go to the bathroom, I caught black mascara underneath my eyes in the mirror. It easily wiped away, but beware! 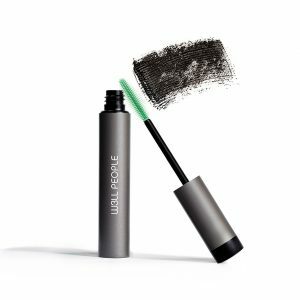 W3LL People says this mascara is 100% Cruelty-Free, Petroleum-Free, Paraben-Free, Gluten-Free, Coal Tar-Free, Aluminum-Free, and Fiber-Free. This is my new everyday mascara. 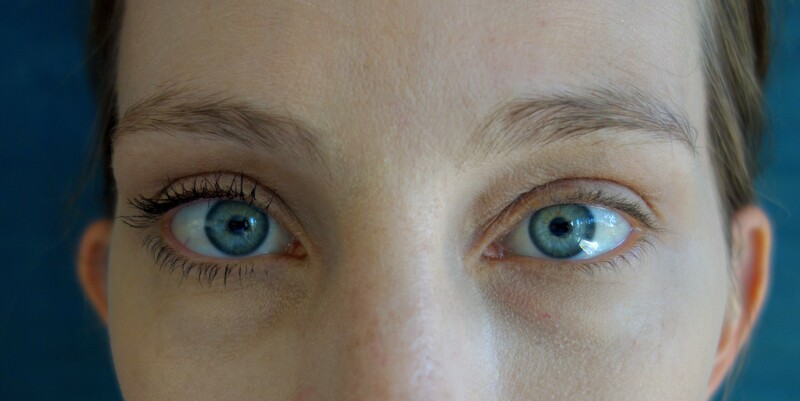 As you can see in the photos, it makes my eyes pop — even when I’m wearing no other eye makeup. 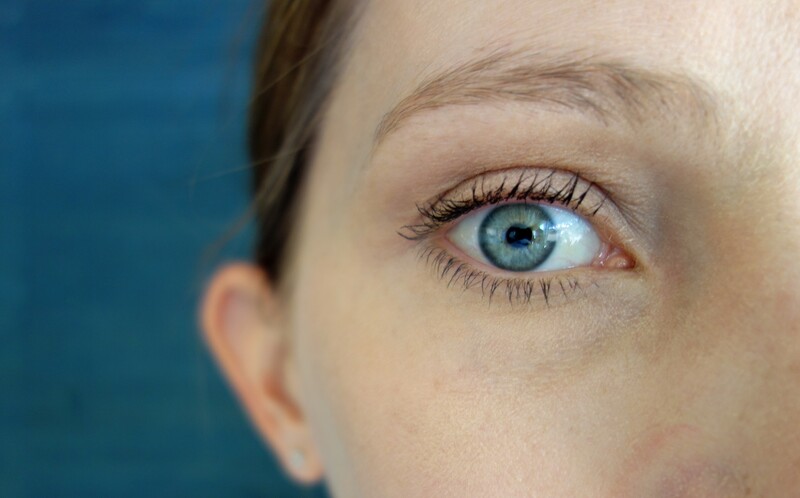 While I’m still on the hunt for a natural mascara that lengthens and thickens, I’m happy my search for an effective nontoxic mascara has led me here.